1. This pair of glow in the dark earrings is a nice gift for young girls and boys that makes them more charming. Perfect for Christmas and more. 2. Simple ON/OFF switch on the bottom, easy to control the light functions. 3. 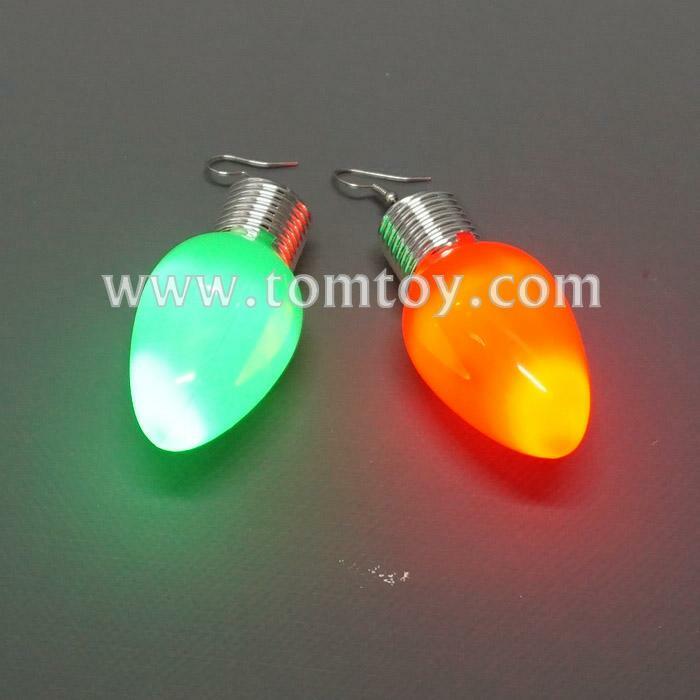 Comes with 3 light functions - fast flashing, slow flashing and steady lights. 4. The light color is same as the bulb's color.